Durable – Unlike paper and many other label materials, this advanced polyester material will not dry out or fall off. 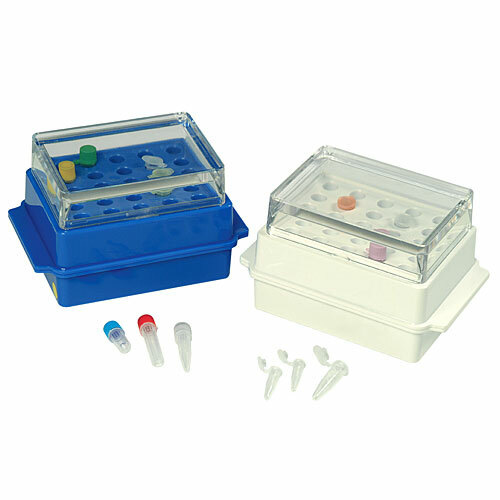 Coloured – Available in white, clear and a variety of bright colours for convenient identification of tubes and samples. 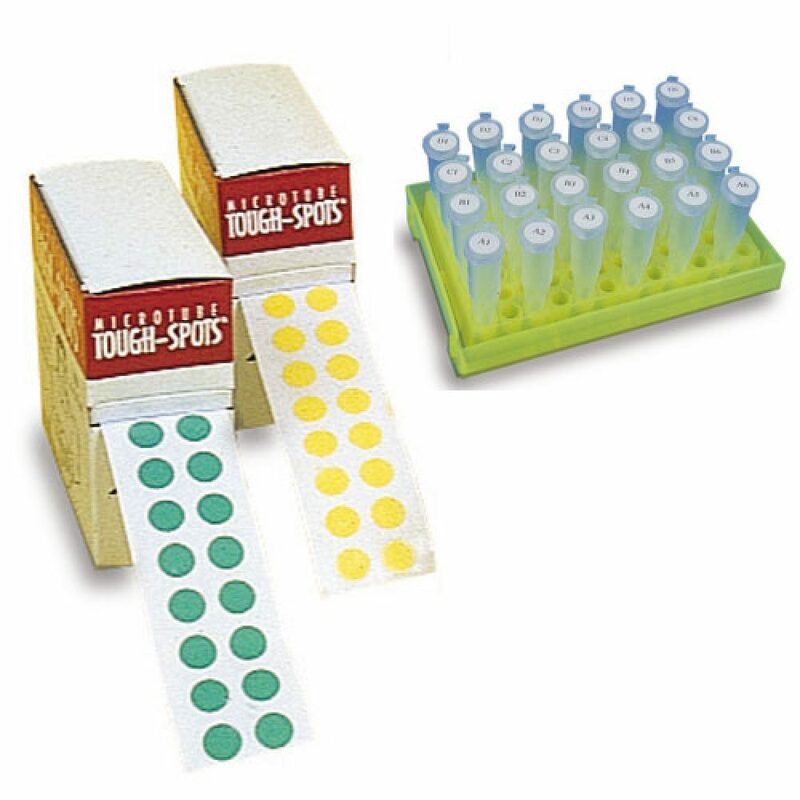 Centrifuge and Vortex Compatible – Microcentrifuge tubes with wrap-around labels slide easily in and out of rotors without binding. 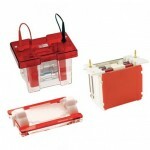 they are ideal for use with all brands of centrifugal filters and concentrators. 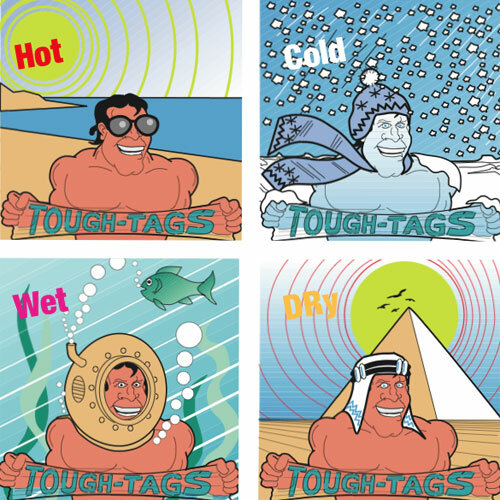 Tough-Tags are scuff and smear resistant, and cannot be removed by even the most vigorous shaking or vortexing. 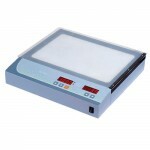 Sizes – Various sizes are available to suit the application. Formats – Tough-Tags™ are available in rolls or in sheet form for the processing of large numbers of samples using a laser or inkjet printer. 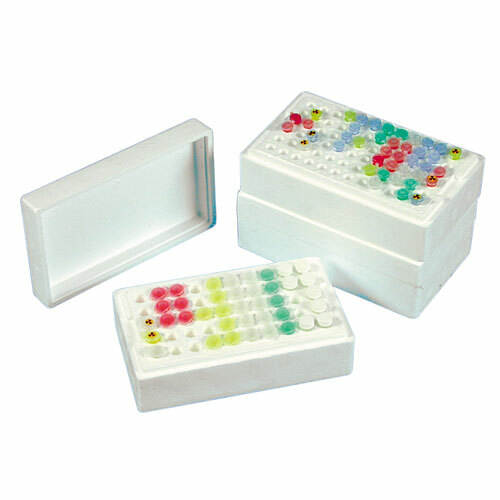 Categories: LAB ACCESSORIES, Sample Labeling. 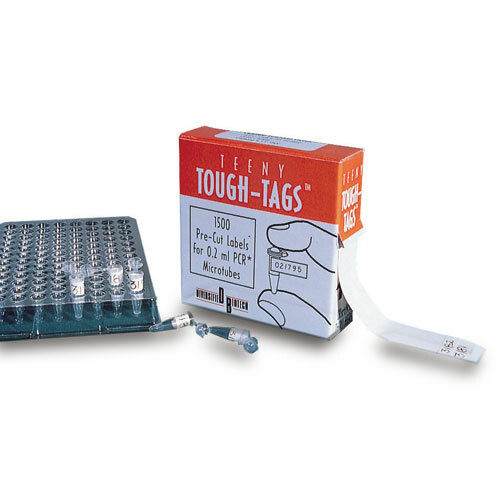 Standard Tough-Tags™ are manufactured in chemically inert polyester and have a strong adhesion to all plastics and other materials. Unlike conventional tape or paper materials, these labels will withstand steam-autoclaving, boiling water baths, freezing to -20˚C, plus brief contact with organic solvents and caustic agents without peeling. 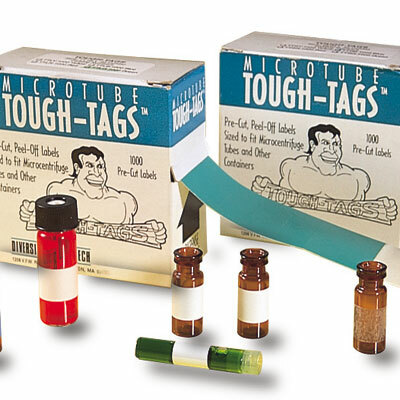 The cryogenic series of Tough-Tags™ are pre-cut labels designed for the labelling of microcentrifuge tubes and vials for use at extremes of temperatures. 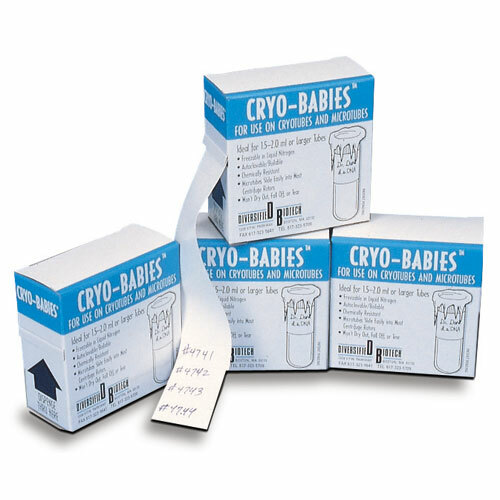 These unique labels will withstand conventional freezing and cryogenic liquid nitrogen storage down to -196˚C (for both vapour and liquid phase nitrogen). 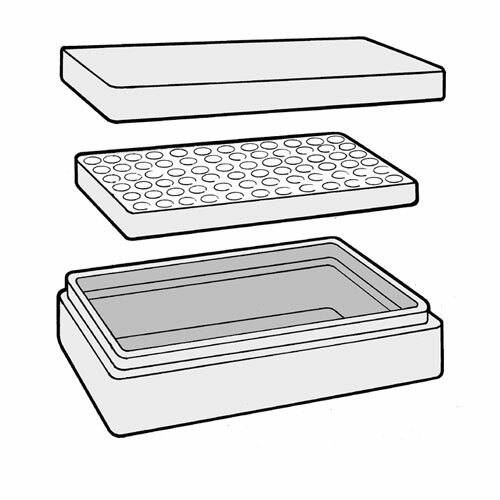 Additionally, they are chemically resistant and will withstand boiling water baths at 100˚C and dry heat to 150˚C without cracking, peeling or degrading. Cryo-Babies™ are 32.5 x 12.5mm in size and are designed for 1.5ml microtubes and standard cryovials, while the larger Cryo-Tag™ labels are ideal for identifying test tubes, bottles, flasks, vials and freezer boxes. 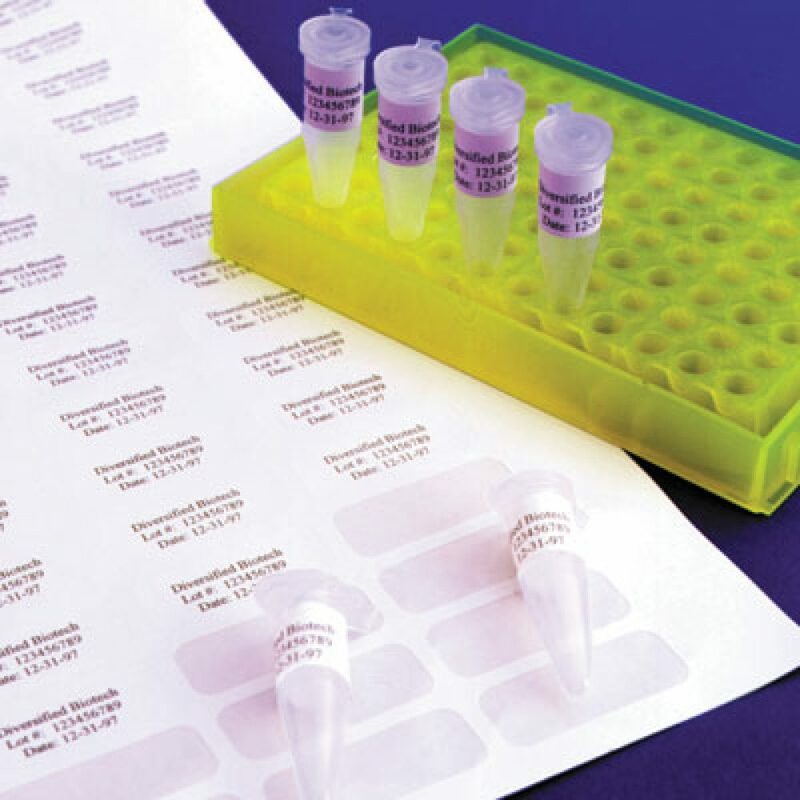 Both Cryo-Babies™ & Cryo-Tags™ are available in rolls or laser-/inkjet printable sheets for processing large numbers of sample labels. * Select colour of choice by using code: W=White, R=Red, Y=Yellow, B=Blue, G=Green, O=Orange.